The best way to find us is to get on to Union Street. From the top end of Union Street, facing east down Union Street, take the third opening on the right hand side, Dee Street (there is a “Burger King” on the corner). Dee Street is a one-way street. We are located approximately half way down the street on the left hand side. We are located on the lower ground floor of number 39. There is on-street parking on Dee Street. 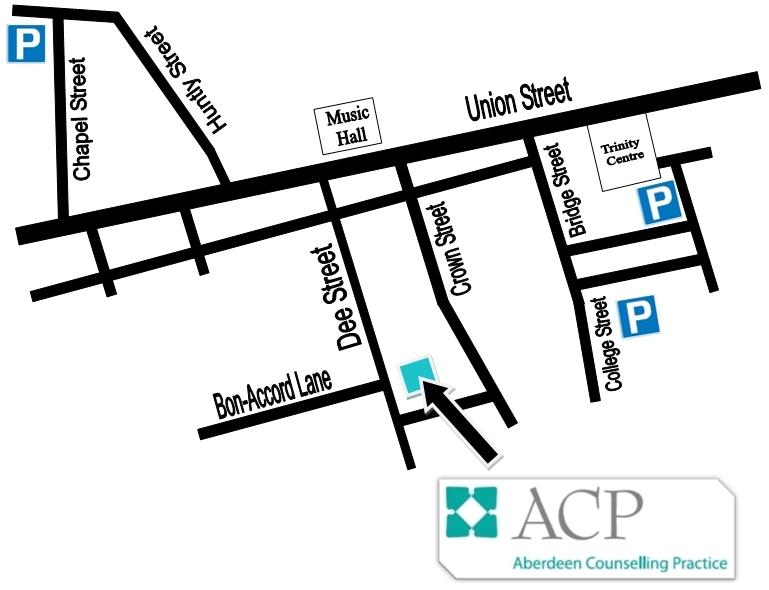 There is also on-street parking on the surrounding streets, including Golden Square which is less than a 10 minute walk from the office. There is also a multi-story car park located at the lower part of Bridge Street, behind the train station. All the main bus routes will eventually reach Union Street and so please follow the directions above. The stop you should try to get off at is the one closest to the Music Hall on Union Street. The Music Hall effectively faces diagonally opposite the Dee Street/Union Street junction.